rabbit, snake, and crab-like shamans. 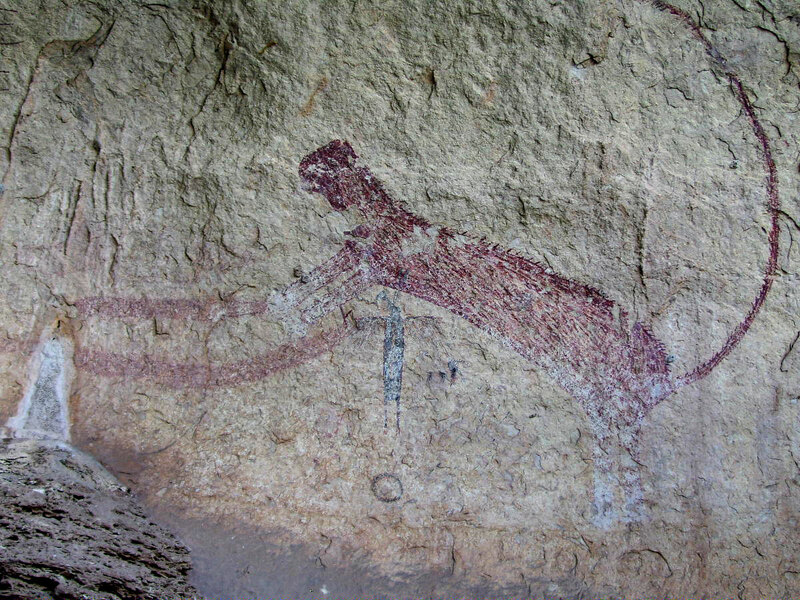 In later work beginning about 500 B.C., fertility rituals, copulation, and birthing scenes are depicted. 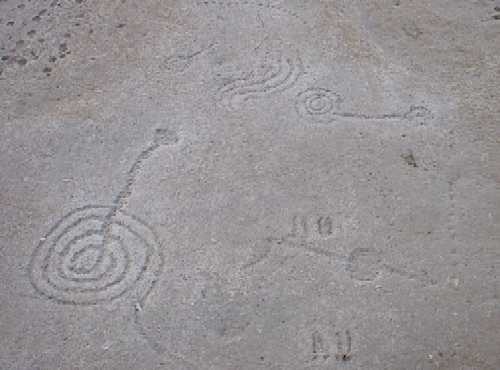 The only large array of petroglyphs (images carved, pecked, or cut into stone), hundreds of geometric and abstract designs created about the year 1000, have been discovered on gently sloping bedrock on private property. Work continues to remove sediment revealing older, more graceful techniques, including motifs of atlatls (spear throwers that pre-date the bow-and-arrow) as well as animal tracks and human footprints. 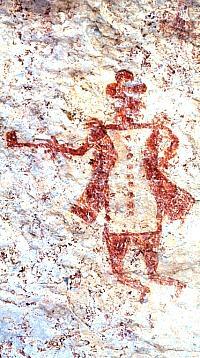 The artistic styles evolved slowly over time among these isolated people living in a small region with no influence from outside forces until about 1600 to 1800 when Spanish explorers and Plains Indians began to make forays into the region, bringing disease and warfare. Depicting the changes brought by the intrusion, the art first shows the novelty of domestic livestock and the curiosity of a people who wore little clothing upon seeing hats, boots, weapons, and the armored horse. Although no missions were established in the Lower Pecos, structures appear similar to missions topped with a Christian cross. Then the destructive consequences of diseases, warfare, and starvation created by the outside invasion appear in scenes of soldiers, horsemen, and destroyed churches. 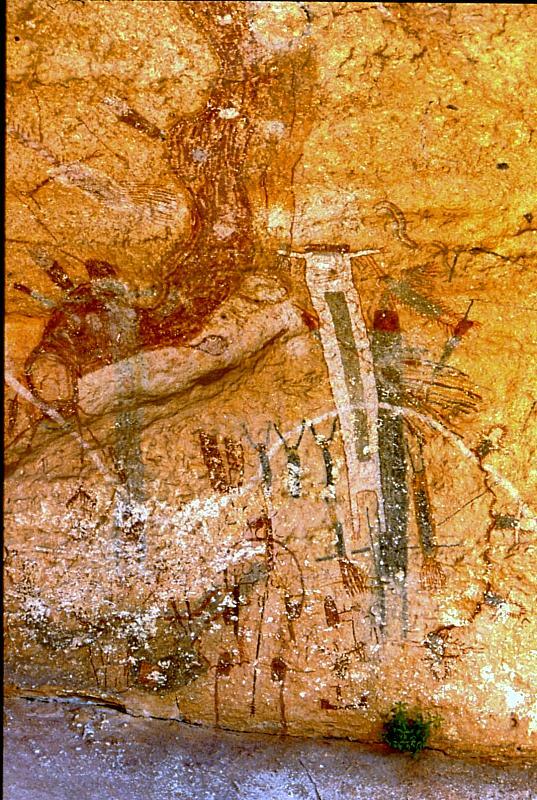 The introduction of the horse culture among the indigenous people seems to explain the appearance of the more recent art in canyons near water supplies and access to grazing areas away from the steep cliff sides of earlier pictographs. The scenes depict hand-to-hand combat, horse theft, thunderbirds and sun symbols. For centuries the arid environment preserved the wall art as well as the grass beds, baskets, mats, string bags, and sandals made from fibers of native plants such as lechuguilla, sotol, and agave—priceless evidence of the culture of the prehistoric era. However, modern treasure hunters began destroying and defacing the art, and it was not until the 1930s that archeological expeditions began collecting the materials primarily for display in museums. 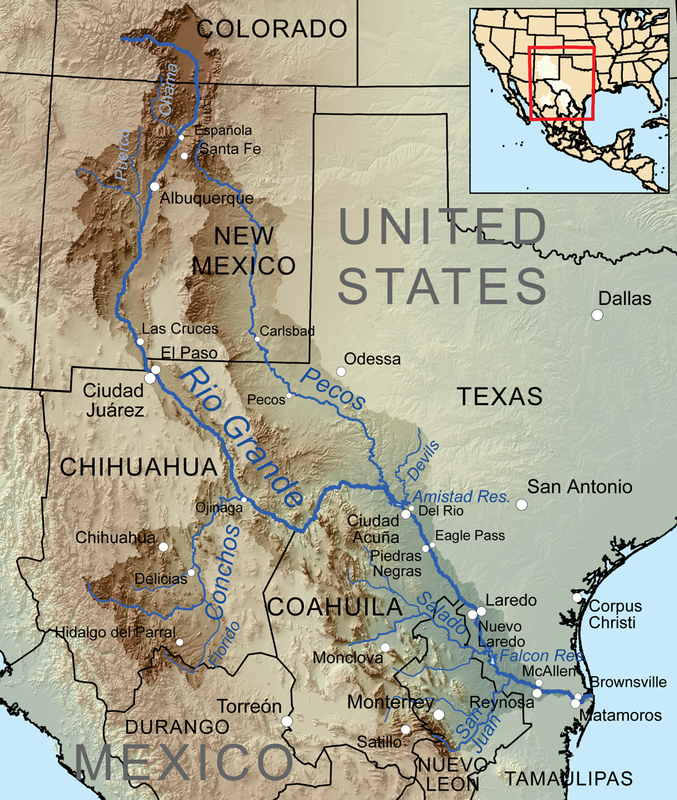 Serious archeological research and efforts to protect the site began in the late 1950s when Mexico and the United States made plans to construct the huge Amistad Dam at the confluence of the Devils River and the Rio Grande in the core of the Lower Pecos Canyonlands. 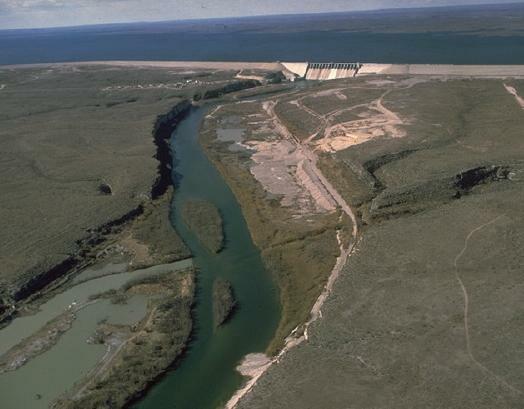 When the dam was completed in 1969, its reservoir spread over 89,000 acres, covering much of the prehistoric treasures. Study and preservation have continued, and today visitors enjoy guided tours to the Fate Bell Shelter conducted by the Seminole Canyon State Park & Historic Site and White Shaman Tours led by the Rock Art Foundation (RAF). Fascinating, Myra. I love that picture of the European man. Thank you got the terrific post and photos. We were fortunate to have gone on a RAF pictograph tour many years ago. A little known treasure, indeed. I’m so glad to know you made one of their tours. It is worth the hike. Wonderful visuals accompanied by first-rate, highly enjoyable and highly intelligent text, all in all a deep pleasure for me. Thank You, Myra, for sharing and for enlightening.